It was another cloudy and cool day today: the high in Silverdale was 40º–several degrees below normal (normal, by the way, is 46º). If it were to clear earlier today, highs would have been well into the 50s–several degrees above normal. Either way, we were going to be on the extreme end of the pendulum! This is proof that inversions CAN be beautiful…if you’re in the right place. 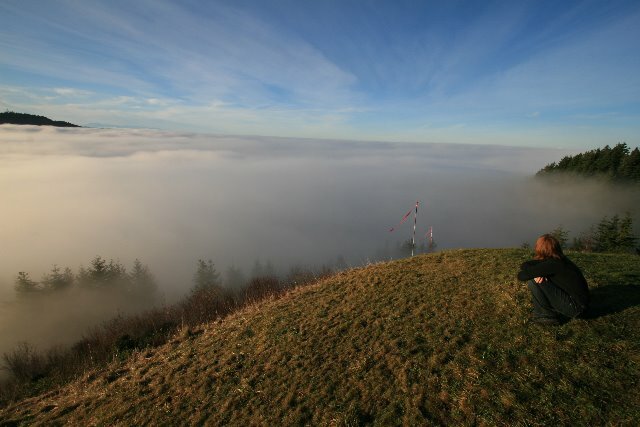 But, the winter sun is too weak to penetrate the strong inversion taking place at lower elevations on the Kitsap Peninsula and we will continue to have a hard time breaking away from the clouds and fog through the weekend. So, with that in mind, look for mostly cloudy skies with highs in the low to mid 40s for most areas on the Peninsula through Sunday, but as a reminder higher elevations and mountain peaks will be sunnier and much warmer. This will be a day by day process, but it appears the inversion could break down enough Sunday to give us more sunshine that what we’ve received all week which isn’t saying much. 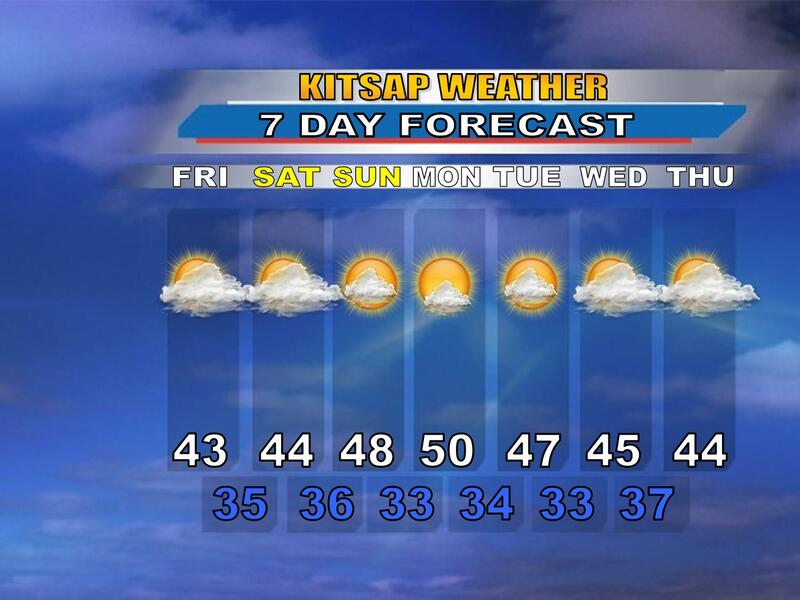 The fog and clouds should be weaker by early next week so that means the potential for some REAL sunshine. Highs will be in the upper 40s and lower 50s. Beyond that we cloud up and cool down with highs settling into the lower and middle 40s. Innocent enough! I will give a more in depth discussion on the even longer range forecast tomorrow.